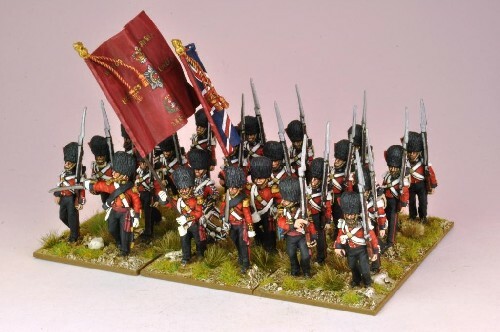 Buy a 24 man regiment of the Coldstream Guards, including command, for the price of £27. Figures supplied unpainted. Paper flags and flag poles not supplied.